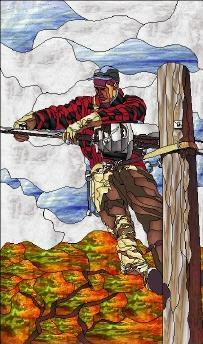 If you’re shopping for stained glass, etched glass, or stained glass patterns then, this is the place to be. 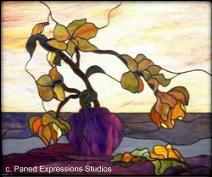 Go directly to the Paned Expression Studios product or service you want. Full Size Patterns on CD for both PC and MacIntosh Computers!Over 1600 full size patterns, in 20 different collections (.jpg, .tif, & .eye formats) for easy resizing and recoloring. Visit our Pattern Catalogue to view all the patterns in these collections. 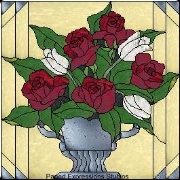 Do you need a stained glass pattern of a favorite photo, sketch, or idea?We can make nearly any concept into a stained glass or etch/multi-level carve design pattern. Just fill out our custom pattern quote request and we’ll let you know what’s involved. 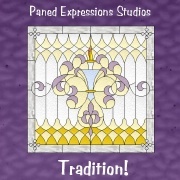 Visit our Custom Pattern Service page to find out in detail how Paned Expressions will support you in creating the exact piece you’ve been dreaming of. SHOW OFF YOUR PASSION in a T-Shirt, Bag, or Hat! Love your craft? Show it off on a t-shirt, bag, jacket, or hat! 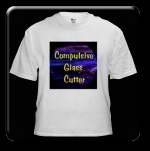 Just visit our store for some fun items for all you glass cutters, fusers, etchers, and mosaic artists.